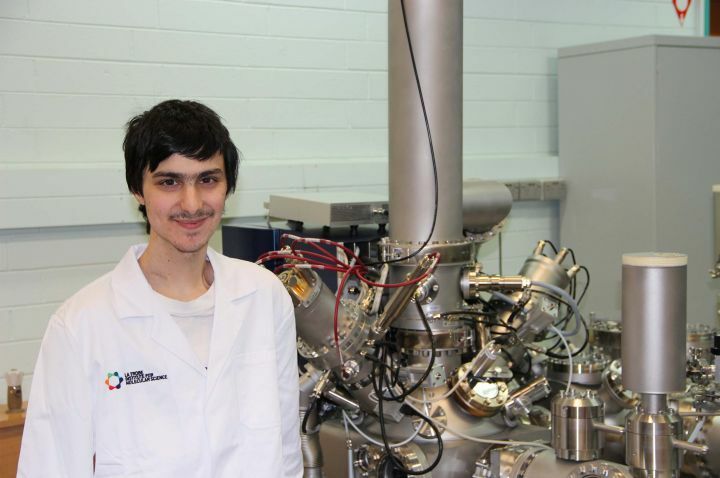 Physics student Michael Munforte is a cancer survivor who plans to use his scientific training at the La Trobe Institute for Molecular Science as a pathway to a career in bionics. Michael is up for the challenge. He has almost completed a Bachelor of Science (Hons)/Masters of Nanotechnology double degree while battling an aggressive form of cancer that, earlier in his life, led to the loss of his arm. "People have asked why I haven't been fitted for a prosthesis," Michael says. "I don't want one until I can build one that I am satisfied with." Find out more about the La Trobe Institute for Molecular Science and how we help to support students with long term health conditions through our Equity and Diversity program.